With ribs, there are fans of the wet and sticky kind, and fans of the dry rubbed version. 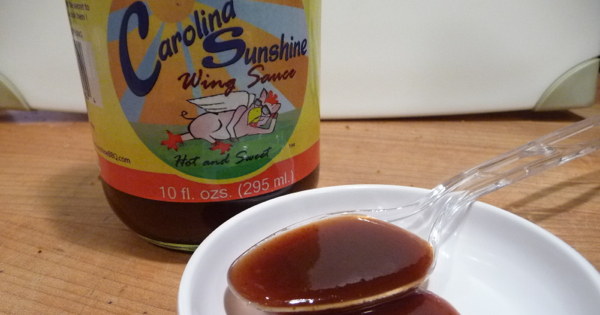 So it is with wings too… wet and saucy, or dry and spicy. This is our entry for our Week of Wings 4 with a dry rub, er… seasoning. 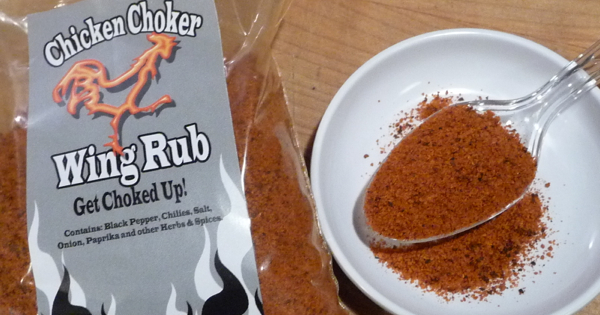 Chicken Choker Wing Rub from NorCalBBQ.com is a fiery blend of spices designed to give you a hot, spicy dry rubbed wing. While not exactly rubbed before grilling, these wings are prepped in yet another unusual fashion. The hot, grilled wings are tossed in melted butter and sprinkled with Chicken Choker Wing Rub before serving. Hot, dry and crispy – these babies will light you up!